Sandwiched in between Valentine's Day and St. Patrick's Day is another important national holiday: National Margarita Day! 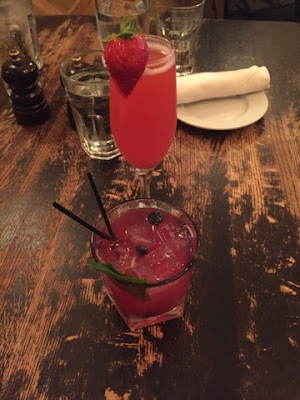 This perfect excuse to drink a margarita just happened to be yesterday, so Eat Up New England indulged at Amuleto in Waltham, Massachusetts. It's just one of the many fine and eclectic restaurants on Moody Street. Amuleto has several margaritas on their menu, but I kept it simple and ordered their house margarita: the Amuleto Margarita. We went for their guacamole and chips to start off with. It was fresh and there was so much of it that we got a second round of chip! Other small plates include sopa de torilla, 3 mini tamales and elote de la calle aka street corn. There are several different tacos for dinner. I enjoyed their chicken enchiladas, served with rice and beans. Amuleto also has several other authentic entrees including chile relleno and carne asada. The best came last. Dessert! The dulce de leche was fantastic and easily the highlight of the meal. It's served warm with vanilla ice cream, fresh strawberries and caramel.Fantastic. 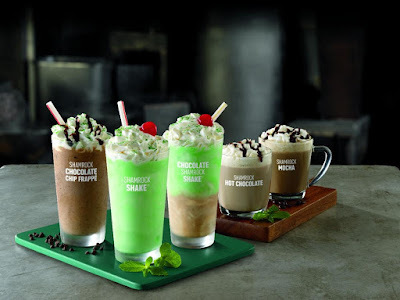 ORDER THIS WHEN YOU VISIT! When Pigs Fly is known for its breads all over New England, but they also have an AMAZING pizzeria in Kittery, Maine. Step inside and enjoy their cozy atmosphere: modern industrial meets rustic Maine. If you have to wait, When Pigs Fly has a bread store next door where customers can sample their breads, pastries and cinnamon rolls. When Pigs Fly Pizzeria has a bar with local, national and international beers on tap. They also mix some yummy cocktails. Start your meal off with one of their snacks like crispy Brussels sprouts, a house made Bavarian pretzel, Thai curry mussels, chicken wings or falafel. My wife and I shared one of their salads. The Greek salad is plenty for two and is topped with a hearty portion of feta cheese. It was also amazingly fresh, like the lettuce and veggies had just been plucked from the garden. For lunch, we enjoyed one of their wood-fired pizzas. It was half meatball and ricotta and half eggplant. Other pizzas include chicken & bacon, peppers & Italian sausage and four cheese & pesto or you can create your own. They also have several sandwiches, a raw bar and many daily specials to choose from. Desserts include a cheesecake of the day and ice cream sandwiches. The food at When Pig's Fly Pizzeria is so fresh and filling, making it an Eat Up New England favorite. Check them out the next time your shopping at the outlets in Kittery. Western restaurant chain BJ's Restaurant and Brewhouse is opening its first New England location in Warwick, Rhode Island. It will be on the site of the old Rhode Island Mall. BJ's brews 11 signature beers and cider. Beers include their Brewhouse Blonde, Piranha Pale Ale and Hopstorm IPA. 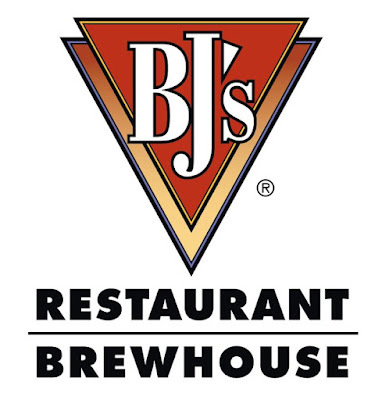 BJ's operates sic breweries in two states. They are also known for their California twist on Chicago deep dish pizza and their dessert called a "Pizookie." The Pizookie is a warm cookie or brownie topped with a couple of scoops of ice cream. Trinity Brewhouse is a legendary brew pub restaurant in the heart of Providence, Rhode Island. Since 1995, their brewmasters have been making beer in house and they have won countless awards to back up just how fresh and how good their beer is. The beers on top change every night, but last night I was excited to try their Black Hops. This double black IPA is an interesting concoction that looks like a stout. It's also 8.8% alcohol and is just $6 a pint. Other beers include a Russian Imperial Stout called Darkness and their signature Kolsch beer, with a pale golden color and light body. Trinity also sells big old growlers of beer to take home. Trinity offers a traditional bar food menu to go along with their beers. Start off with Trinity nachos, chips & salsa, chili or chicken wings. For dinner, I would highly recommend one of their burgers. Choose from 6 or 10 ounce and top it with whatever you want. I enjoyed a 10 ounce with Vermont cheddar cheese, bacon and stout caramelized onions. It was perfectly cooked and served with a pile of their homemade fries. Other entrees include a New England clam roast, steak tips, fish & chips, lobster mac & cheese, pulled pork BBQ, jerk chicken and 12-inch rustic pizzas. Trinity even has a vegan ravioli for our vegan/vegetarian friends. Trinity Brewhouse was an excellent dining experience from start to finish. Check them out online and social media for a look at what beers they have on tap before you visit. If you're still looking for a place to watch the Patriots beat the birds this Super Bowl Sunday, I've compiled a list of some restaurants with specials and celebrations. Go Pats! Not Your Average Joe's (Massachusetts) - 20% off carryout orders from 2pm on. Mention the deal or order online. They are also offering a special brunch sausage pizza.